The chef’s culinary art is incomplete without steaks, lamb chops or chicken wings. If you have ever tried any meat recipe then a meat cleaver should be a known term to you. Basically, it’s a large knife with a distinct shape used by butchers or in a kitchen for hacking through bone. It has a tough edge to withstand the blows against dense cartilage and bone. 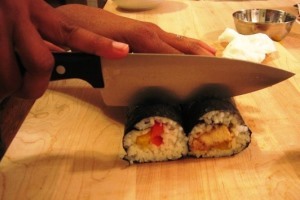 Technically, a meat cleaver is designed to split the bone and meat. Popularly known as the butcher’s knife, its blade is specifically heavy and thick and less importance is given to sharpness. The best meat cleaver would be the done which is heavy duty for hacking through meat and also versatile when it comes to chop vegetables likes radish, cucumber and carrot. While some people may think of cleavers to be as a crude tool of butchery without any alternatives, there are indeed many choices when it comes to type of blades, shapes and handles. Chinese cleavers – It’s a wide bladed and a narrow-spine knife. It has a comparatively thin blade and ideal for both meat and vegetables. It is not meant to split bones. Western cleavers – This is thick spine and ideal for meat and poultry. It works well with any tough food or bone and cuts through easily. 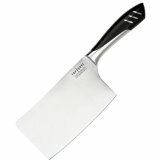 Heavy duty – a meat cleaver is cardinally built to withstand heavy blows and cut through tough meat. Large blade – the broad sized blade ensures that large pieces of bone and meat are cut in one go. Sturdy – It is robust and most cleavers works well with lamb, beef and chicken. There are certain parameters one should look for when intending to buy the best meat cleaver. 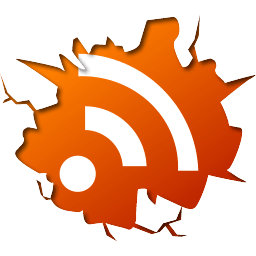 Handle – It’s very important that you get a handle with good grip and comfort as the whole process of hacking could be tiring for the hands. 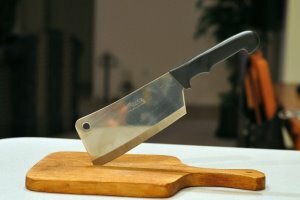 Versatile – If you are not a professional who has to only hack a particular type of meat all day, you should prefer a versatile cleaver that is suitable for different meat and vegetables too. Size – While all meat cleaver are large and have a broad blade, still you can differentiate amongst the different cleavers based on their dimensions. Prefer a broader knife for tough meat and narrow blade should be fine for soft meat. Let’s review some of the most popular meat cleavers available in the market. Made from corrosion resistant stainless steel, this meat cleaver is ideal for lamb, beef or chicken. It hacks perfectly across bones, cartilage and meat giving you good precision. The handle is wooden with triple rivets for better grip and durability. The blade is 8 inch long and 3.5 inch wide making it suitable for versatile usage. 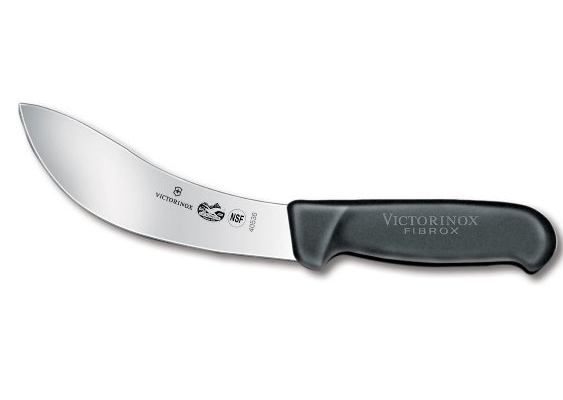 The blade is quite sharp and has good strength to withstand the blows while cleaving meat. This dual utility cleaver and chopper is made from ice-tempered stainless steel. The 7 inch blade is good for hacking through chicken, lamb or fish. The cutting edge is hollow ground to prevent sticking and gives better precision. The handle is full steel and is comfortable to handle and chop. The cleaver has a classic design and ideal dimension that caters to your multifarious cleaving needs. 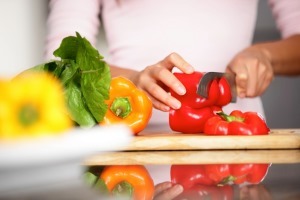 Some may even advice it for cleaving vegetables and general chopping tasks. Overall, this is a smart choice for both home cooks and professionals. This heavy cleaver chops through bones and joints easily. The blade is made of stain resistant stainless steel and is hot drop forged for better durability. The handle is made from durable material and is triple riveted. Ergonomically designed handle perfectly suits the curve of your fingers and reduced strains on the hands. The 6inch blade is the right dimension for most of your kitchen jobs. 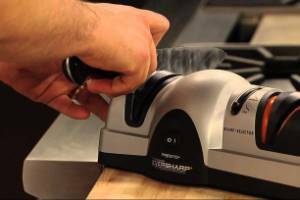 It lets you quickly cut meat or even cooked pieces of lamb or chicken. Overall, this is an absolute choice for any cook or professional. The hefty and dexterous meat cleaver is good enough to cut through bone and meat easily. It has a balanced design and comfortable styling for making your job easy and quick. The flat blade tip and blade dimension makes it versatile in functionality. Crafted from high carbon stainless steel, this cleaver for chopping vegetables as well. Its handle is triple riveted and made from Rosewood. Durable, sturdy and high utility, this meat cleaver is a must have if you desire to make some great meat recipes. The broad and sturdy cleaver cuts easily through bones, hard vegetables and thick pieces of meat. You can get a great cutting experience with the forged knife. 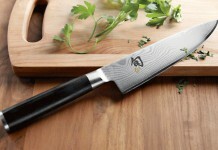 The sharpness and design of the cleaver is to enhance precision and performance. It has a full metal tang that gives balance, control and strength. 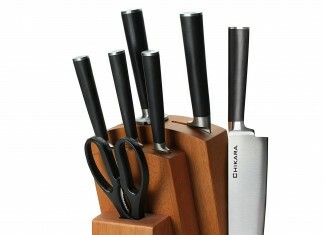 The blades are made of stainless steel that gives it lasting sharpness. The polymer handles are comfortable for hands and give a good grip. Overall, it looks a good buy if you want to cater to versatile cleaving jobs of your kitchen with ease. Picking the best meat cleaver is not a great challenge if you understand the basics. 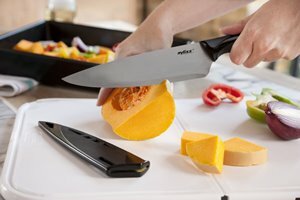 Look for a knife that caters to the specialized task of hacking through meat and bone along with some utility in chopping and mincing vegetables. In a nutshell, it should be tough and sturdy to meet your everyday needs.